“Enter now and you have a chance to win a new iPad (or a Kindle or a Nook or some other tablet)!” Consumer electronics are always a popular prize giveaway at tradeshow raffles. And for the past three years the most popular items have been tablets, e-readers and video game consoles. But everyone who wants one of these devices already has two if not three of these items- especially people in the tech sector. 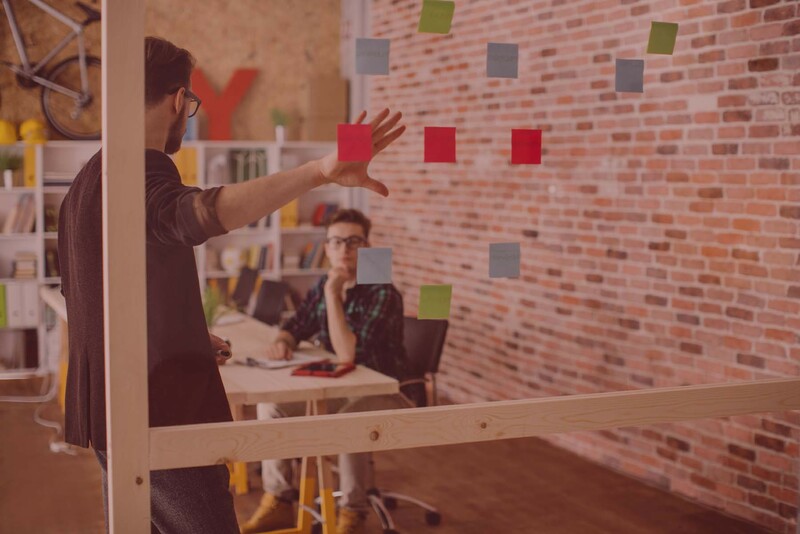 But there is good news for those of us in the marketing profession. 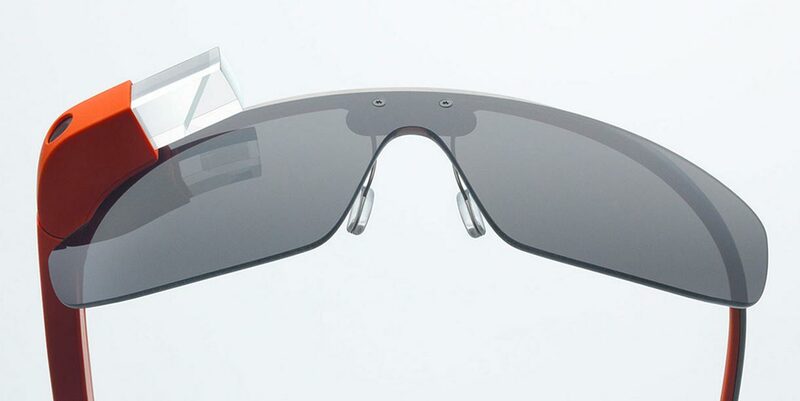 Hundreds of cool new tech gadgets like Google Glass are coming on to the market. These wearable computing technologies make great giveaways. They are differentiated products that only a few people have, but everyone wants. As a result, you can use promote these as prizes to draw prospects to your booth to register and share their contact details. What are some the wearable devices you can give away now? Google Glass – Can take photos, record videos, send texts, show maps, make phone calls, search Google and engage in hangouts. Glass allows you to interact via natural language voice commands. With built-in Wi-Fi you can access Google applications without the use of a smartphone. Jawbone Headset – Redefined the Bluetooth headsets with advanced technology such as Noise Assassin. Jawbone can be controlled with gestures such as TapTap and ShakeShake. Nerd adapter allows you to connect to your PC and sync with Internet applications. Nike+ Fuelband – Includes an accelerometer to measure movement such as running, walking, dancing counting each step taken and calories burned. You can set goals then watch an LED display that converts from red to green as you track your progress. Sony SmartWatch – Enables you to read text messages, emails and status updates on Twitter and Facebook. You can see who’s trying to reach you without having to access phone. Built on Android, Sony’s watch allows you to download additional apps from Google’s Play marketplace. 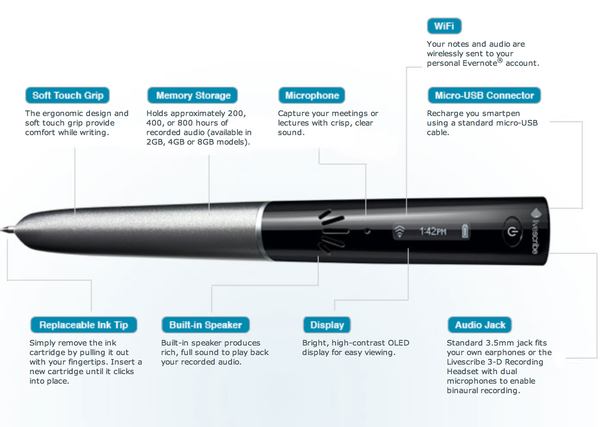 Livescribe – A smart pen system that allows you to record written notes and the corresponding audio track. The pen wirelessly transmits text to your Evernote account using its built-in Wi-Fi connection. Livescribe comes with a special notepad that enables you to tap anywhere to replay the associated audio. Recon Instruments – Glass for skiiers. Recon’s glasses offer a Heads Up Display that tracks speed, vertical descent, jump airtime, navigation and distance. The built-in precision GPS and sensors provide navigation and buddy tracking features eliminating the need to carry paper trail maps. Zeo – Tracks the quality of sleep. Zeo shows how much restorative REM and deep sleep you get on a smartphone or bedside device. Based upon the data collected, the band provides a personalized assessment and expert advice to improve sleep patterns. Looxcie – Is a hands-free video camera that allows you to broadcast and record video via connection to iOS or Android smartphone. You can stream the video live to your friends on Facebook while engaging in a conversation online. By this time next year (2014) I suspect many of these gadgets will be main stream. But why wait? Start now and get ahead of the curve. Everyone wants to play with these gadgets, but they are in low supply and high demand. Many of these products are on back-order if you visit their websites. And the pricing for most of these devices is still very high, because manufacturing quantities are so low. The combination of low supply and high pricing make these the ideal prize giveaways for the upcoming fall tradeshow season.